Aging is not always a pleasant experience, from hair loss to wrinkles, even your teeth are no exception. You may have had pearly whites all your youth, but they will fade over time. With aging, your teeth tend to become more brittle and can cause chipping and cracking. Over time these chips and cracks could trap bacteria which would cause decay and lead to various dental health problems. So in order to have a perfect set of teeth after 50, you should take care of your teeth and gums regularly. If you have great looks but your smile is not good, then what’s the part? We tell you how men should take care of their teeth after 50. Here are a few tips that can help you get rid of dull and brittle teeth. But before we get onto how you can strengthen your teeth, here are a few causes of tooth decay. Not maintaining proper oral hygiene could be one of the reasons for tooth decaying and cavities. Poor oral hygiene starts when one forgets to brush teeth regularly. 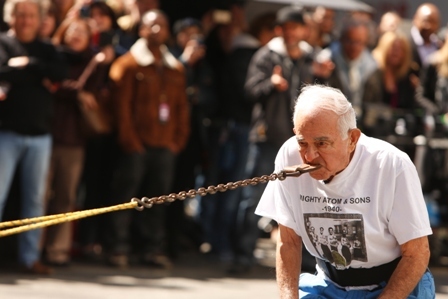 This is why men should take care of their teeth after 50. Not only should you brush regularly but also make flossing a regular habit. Part of oral hygiene is also taking care of your tongue and gums too. Make brushing your tongue a regular habit, along with using a mouthwash. Doctors recommend brushing your teeth at least twice a day – morning and night. But it is ideal to brush after every meal. Remember those trips to the dentist for cavities? Well, that’s because sugary foods are the worst enemy for your teeth. Sugar feeds the harmful bacteria in your mouth that causes various harms to the tooth itself. If you want to take care of your teeth after 50, then cut down the sugar in your diet. When we say sugary foods, it’s not just chocolates and candies, but there are many foods that contain “hidden sugars.” There are also many sugary beverages that are just as damaging to your teeth as soda and other aerated drinks. Our teeth are efficient at slicing and dicing food perfectly but they were not made for as a cutting tool. Men often use their teeth to open packages or soda bottles. Remember the last time you opened a beer with your teeth? It’s nothing to gloat about! This habit can cause your tooth to chip or crack and make your teeth weak. It may be something of pride in front of your friends or bae, but men should take care of their teeth after 50. So take a moment to find an alternative way and spare your teeth the rough treatment. Not only are sugary foods an enemy to your teeth, but also acidic foods. Teeth can be damaged from over-consumption of acidic foods. When you eat or drink acidic foods on a regular basis, your tooth enamel becomes damaged, leading to erosion. Not all acidic foods are bad for you. Some acidic foods offer health benefits – so eat them in moderation. You don’t have to completely cut out these foods from your diet, but just reducing the overall consumption can help improve the quality of your teeth. There are many reasons that oral problems become more common with age especially after 50. But some common symptoms indications of teeth decay are, the recession of gums with age, and improper oral hygiene finally catching up with age. This is the reason why men should take care of their teeth after 50. 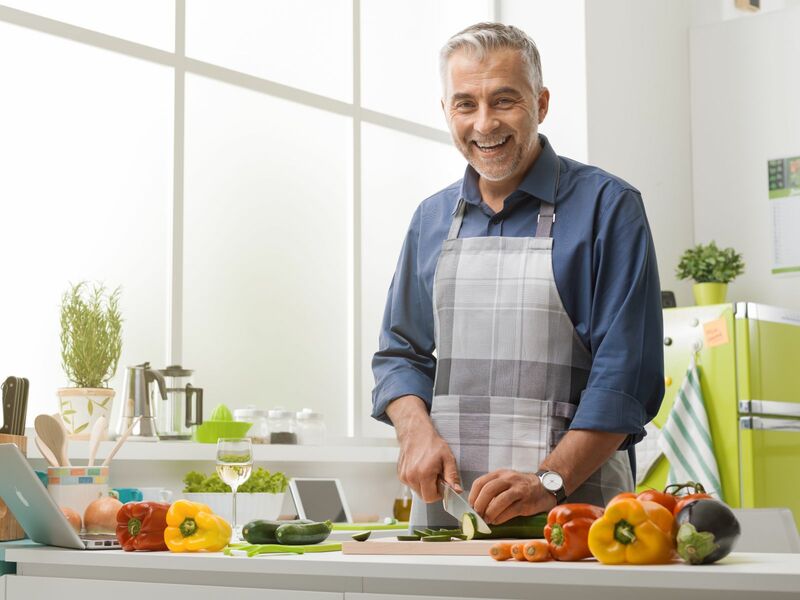 In order to reduce the tooth decay problems and get a perfect smile even in your 50s, here are a few ways to take care of your teeth after the age of 50. Brushing is the most important part of oral hygiene, and you must not skip it or rush it. It’s recommended to brush at least twice a day in the morning and after having dinner. However, you can brush every time you have a meal. Experts suggest spending at least 2 minutes every day to brush your teeth properly. Try using good quality brushes with softer tufts. And in every 3 months replace your toothbrush when it gets worn out. Worn out dirty brushes can damage your teeth more than they can help you. With a clean toothbrush, men should take care of their teeth after 50. Doctors Always recommend using a fluoride-based toothpaste. As it helps to increase the strength of the enamel layer on the teeth and protects your teeth from decaying. Experts recommend to pick up a toothpaste that has 1,350–1,500 ppm of fluoride in it. Floss your teeth regularly. 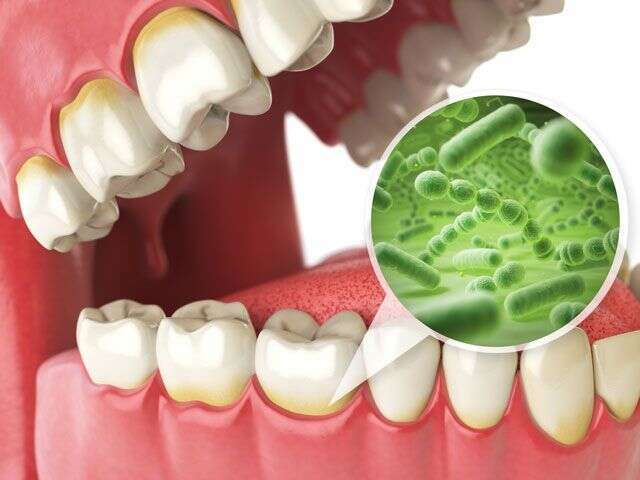 As it removes food particles, plaque, and bacteria that build up between your teeth. It’s better if you floss before brushing. For those who find floss awkward try use an interdental cleaner instead. Ensure to floss your teeth every night. Use a good mouthwash that can kill bacteria which causes bad breath. There are plenty of options out there, some have antibacterial property or fluoride and are available in so many flavors. So pick any of them according to your choice and use it at least for 2 minutes. Many of us are not so concerned about cleaning our tongue. Cleaning your tongue will remove bacteria that are on the surface of your tongue and keep your bad breath under control. Either you can use a tongue scraper or a brush that has a scraper on the back. And don’t swallow the bacteria that you have scraped off. As we told earlier about sugary foods and how they can cause various oral problems. It’s recommended to cut off sugar from your diet as much as possible from your diet. Avoid sweets, cakes, candies, chocolate, ice creams, and other sugar-rich foods. Beverages like juices, soft drinks and sodas are equally harmful to your teeth. Try to moderately consume acidic foods like citric food, junk food, sodas etc. Rather you can eat alkaline food like fish, vegetables, cheese etc. For snacks, you can have apples, carrots, broccoli, celery, lettuce, cucumber etc which help to scrape your teeth clean and massage your gums as you eat them. Reduce your alcohol consumption as alcohol increases your vulnerability to tooth decay by degrading your enamel. Also smoking stains your teeth and makes your lips and gum darker. Therefore improving your lifestyle is one way how men should take care of their teeth after 50. Clean your teeth by chewing sugar-free gums. If it’s sugar-filled it can only damage your teeth more. And, chewing gums increases saliva secretion which breaks down the food particles left in your teeth. Lastly but definitely not the least is to regularly visit a dentist. Not only in case of any major problem, but we recommend you to consult with a dentist at least once in 6 weeks. However, you can consult with a professional once in a month or two depending on your needs. 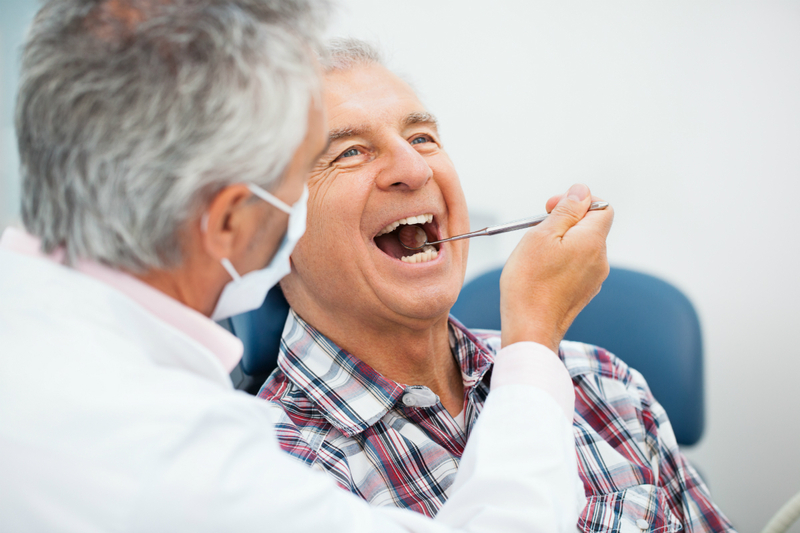 These are a few ways men should take care of their teeth after 50. A healthy lifestyle and habits can keep the dentist away.